Discover the potential of expanding your business into different markets of the world and see how smooth it can be with the help of Asendia. Find out about the unique characteristics, customs and consumer needs of different countries, and read our key advice for growing your business overseas. Asendia is established across Europe, Asia and the USA, but we’ll highlight just a few key destinations below to give you some ideas for cross-border growth. Switzerland is one such market – a prosperous nation you can do great business in. Delivering to over 220 destinations and providing cross-border solutions to companies around the world, Asendia are the global experts you can rely on. We also partner with the best organisations in the industry to absorb the newest e-commerce research and insights, giving us the competitive edge over other solution providers. We work with the Ecommerce Foundation to deliver the latest information to our clients, while improving the standards and knowledge across the industry. Learn more about the prosperous Swiss e-commerce landscape. Get the facts on one of the world’s most sophisticated economies. Delve into the details of the Australian e-commerce market, consumer behaviours and trends. Why is the French market such an attractive opportunity for e-commerce? This video explores the rapid growth of online retail in France, as well as the emerging trends of French online shoppers. 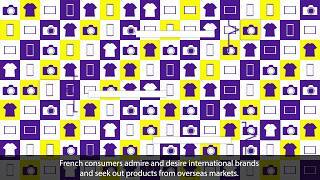 Watch our exciting introduction to the French e-commerce market. E-commerce in Norway is currently worth €8.5 billion a year – a booming market strengthened by the fact that most young Norwegians shop online every month. This is a wealthy society with a high purchasing power; savvy consumers who are hungry for quality cross-border goods. If you want the ideal delivery partner with expert knowledge of getting packages, mail and publications to new customers in Norway, then get in touch with Asendia. We offer a wide range of services for those looking to export to Norwegian consumers, including various delivery options, goods tracking and returns management. Let us advise you on what matters most to Norwegian customers: fast delivery, efficient returns, good price points and online visibility. Switzerland is one of the world’s most exciting e-commerce destinations. It’s a nation of affluent customers with high purchasing power, always on the lookout for international products that have a lower price point than expensive local goods. E-commerce in Switzerland is growing year-on-year and is showing no signs of slowing down. There are many factors that make Switzerland an ideal destination for e-tailers: English is widely spoken, the local delivery network is well established, and exporting to Switzerland is straightforward. Having evolved from Swiss Post in a joint enterprise with La Poste, Asendia has unparalleled experience to help you achieve e-commerce success here. In this e-Book, you'll get information all about the e-commerce market in Switzerland, including some of the latest facts and statistics. Swiss Post is one of Asendia's parent companies, so we can offer unique access to the mail and parcel services of Swiss Post and their subsidiaries in Switzerland. This includes postal, parcel, customs and returns solutions. La Poste is the national postal and parcel operator of France and one of Asendia's parent companies. So we have unique access to the most popular mail and parcel services in France. Asendia has a formal Sales Partnership with Israel Post; giving you access to delivery services in Israel from the UK. The Israeli ecommerce market offers an interesting and enticing marketplace for international businesses.